Small Press Shout-Out: OR Books! A refuge for renegades, OR Books was founded by John Oakes and Colin Robinson (the O and the R), who together have published an impressive roster of authors in their careers, including Tariq Ali, Andrei Codrescu, Noam Chomsky, Alexander Cockburn, R. Crumb, Cory Doctorow, Andrea Dworkin, Eric Hobsbawm, Abbie Hoffman, Lewis Lapham, Gordon Lish, Rigoberta Menchú, Harvey Pekar, Matt Taibbi, John Waters, Jann Wenner, and Edmund White. They describe OR as “a new type of publishing company [that] embraces progressive change in politics, culture, and the way we do business.” They go into more detail about their past (and plans for the future) on their website. Here’s what’s interesting: these longtime industry stalwarts (if “stalwarts” is the right word for two guys who always seem to have been on the cutting-edge side of what is sometimes a stodgy old business) believe that contemporary book publishing is in “crisis” and OR Books will do things differently. Putting out just one or two books a month, OR makes the most of their opportunities. Who’s smart and nimble enough to bring out an anthology of Russian love Stories (Gay Propaganda) in time for the Sochi Olympics? OR Books! Eclectic? Check. Passionate? Check. Relevant and important and fascinating? Check check check. Worth checking out their catalog? Check. And mate. Small Press Shoutout: SALT Publishing! Why are they called Salt? Maybe it’s an acronym? Maybe it’s a tribute to the number-one spice? Meat preservation? The taste of sea air? I don’t know. I just know that their books are beautiful, their hearts are in the right place, and they put out 30 books a year, including some fantastic fiction. But they’re more than just fiction! Salt also puts out poetry, anthologies, poetry for children/teens, literary autobiography, plays, and on and on. Smart books for smart people! Today, Salt is a privately-owned British company, with editors in the USA, Australia and the UK; a trade publishing business, proudly independent, committed to producing important, beautiful, readable, literary works. Here’s another exciting development: Proxima, their crime imprint. You may recognize the world-beating classic, Mrs. Darcy versus the Aliens. These are good, smart folks with a great website, great books, and making a great contribution to the world of letters. 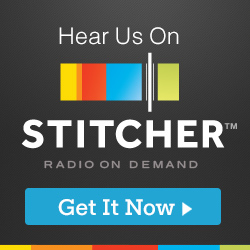 Check out their list today! Small Press Shoutout: The Permanent Press! I’ve decided to return to one of the blog’s most popular features, the Small Press Shoutout. This week we take a look at The Permanent Press, which has been cranking out titles since 1978. Started by husband-and-wife team Martin and Judith Shepard, their catalog includes several award-winning mysteries and the undersung Icelandic novelist Halldor Laxness (a personal favorite of mine). The name of the press refers to their policy of keeping their entire backlog in print, which I’m guessing is easier now than it was twenty-five years ago. My belief is that in any culture, at any age, the vast majority of the great books that are handed down, decade after decade and century after century are fiction. Following Homer’s The Iliad and his sequel, The Odyssey, came the great novelists of yesteryear: Dostoyevsky, Chekov, Gogol, Dickens, Chaucer, Jane Austin, Fitzgerald, Boccaccio, Umberto Eco, Dante, Italo Calvino, Rabelais, Hugo, Stendahl, Balzac, Halldor Laxness, Cervantes, Márquez, Kundera, Mark Twain, Faulkner, Hemmingway, Dos Passos, Poe…the list is endless. So if one’s interest lies in discovering novelists who have the talent to write exceptional fiction, why not cultivate and publish them and hope some of them will make a contribution to our culture—which surely needs a lift, given the great decline in fiction in general and the astronomical rise in non-fiction, which includes celebrity bios and countless “How-To” books—how to lose weight, make money, find partners, find serenity, find God, evaluate collectables, write screenplays, prevent aging… this list is endless, as well, and unlikely to survive the test of time. Bravo! Fiction is important, fiction is necessary, fiction is a testament to what civilization and the human endeavor is all about. Fiction represents – fiction is – us at our finest! Could there be a better attitude for a publisher to have? The Promotion: A Novella – Takes a look at the insanity of biglaw recruiting and hiring. The Blow: A Novella – Ever wonder what it’s like to work next to a billionaire? What do you become? Wonder no more! The Biglaw Trilogy – I hope to bundle all three novellas into one easy-to-read package. Continued service to my loyal readers at jackewilson.com. Other avenues to reach my audience – Goodreads, Amazon.com author page, Facebook, Twitter, and more. Doing my best to bring you the news and keep spirits high. And of course (and as always): Onward and Upward! Happy New Year, everyone! And guess what? 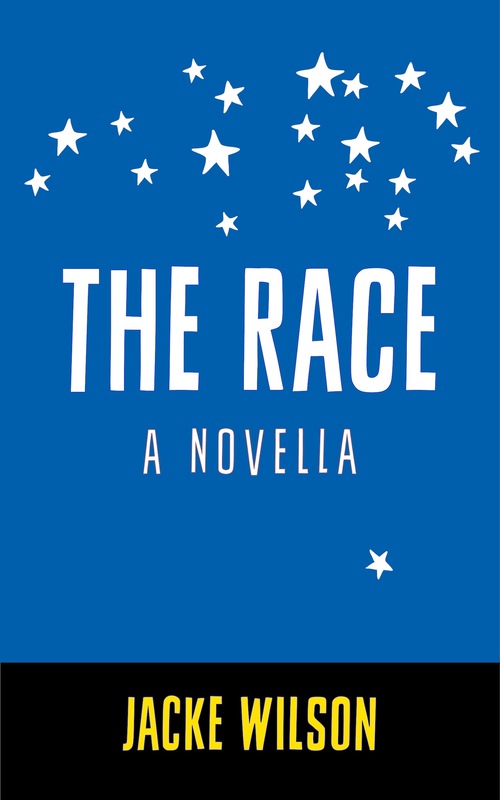 I’m very excited to unveil the new cover for The Race: A Novella. I couldn’t be happier with how it looks and the way it suggests the themes and tone of the book. Many thanks to my brilliant designer and all the others who put in their comments and ideas. It’s still only available at Amazon, but I’m working on a wider distribution and hope to have that in place soon. “Who’s he?” Tina said to the Governor in the foyer. I explained that it was actually an autobiography – I was just helping him do some organization. “Don’t sell yourself short!” the Governor said, gripping my shoulder. I had not intended this comment to be self-deprecating – in fact it was something of the opposite. I wanted her to know that he had been writing his memoirs, that he was paying me – not that I was so drawn to his story that I, on my own initiative… I was not a vulture looking to feast on their marital carcass… but at that moment one of his boys crossed through the room we were standing in and disappeared into the hallway and the Governor chased after him to see how he was doing. I stayed with Tina in the foyer. She clearly didn’t know what to do with me. I had no options but to stand there. Finally she invited me into the living room where we did not sit down but ventured into small talk. It surprised me that she recognized my last name. “She’s a second cousin,” I said. I saw a flicker of approval, or at least curiosity. I was one of the ones who had left. Yet I was not such a success that she’d heard of me. I told her I was basically a lawyer. “Basically?” She smiled faintly. I got the sense that she liked people. She hated her husband, but he was not in the room at the moment. She looked down the hallway. Now I saw her full smile; it dazzled me. “We’ve got time,” she said with a shrug. The Race: A Novella by Jacke Wilson is available now at Amazon.com. A longer excerpt is available here. Copyright 2013 by Jacke Wilson. All rights reserved.